Matt is a writer and Geneva is an artist. 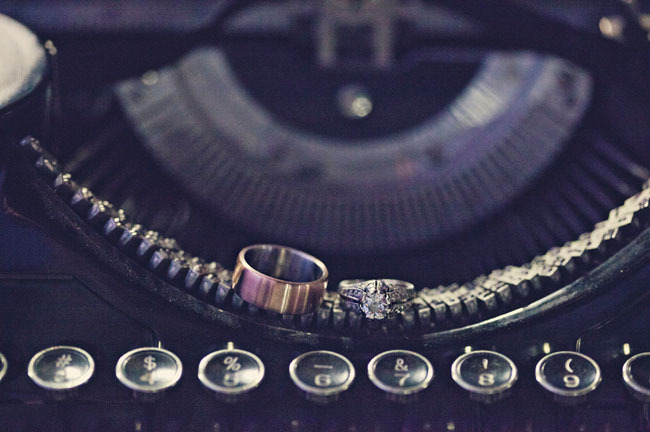 They both love antiquing and Geneva’s ring is from the 1920s. Their gorgeous venue, the Clarke Estate was also built in the 20’s so they thought it would be fun to have a roaring 20’s party! 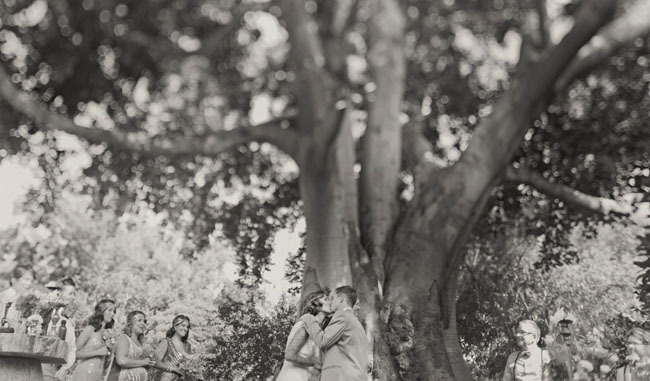 Saying their vows under a large tree in the middle of an orchard, surrounded by the loveliest of friends + family and dancing to the romantic tunes of Billie Holiday, Frank Sinatra and Fred Astaire, their wedding was pretty magical. 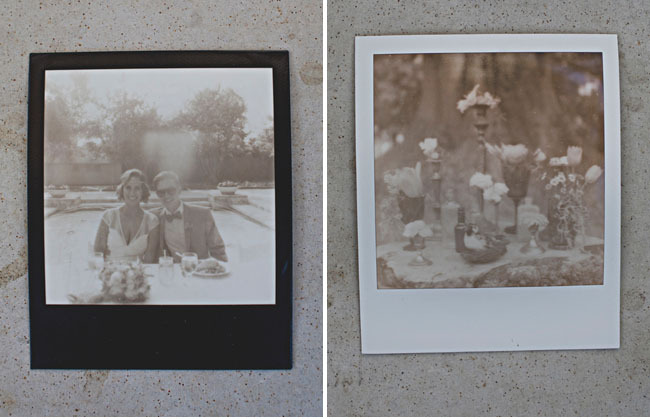 Thanks so much to Joy at Wildflowers Photography for letting me share these gorgeous photos with you all today! 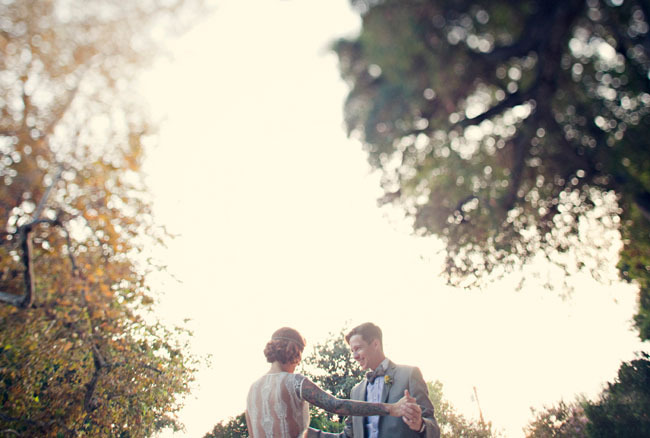 Most memorable part of your wedding day? It was when the whole wedding party did our dance to Bette Midler’s “Boogie Woogie Boy.” Everyone didn’t even know how to react but what came out of it was hilarious and fun! It ended with Matt being picked up and spun around like a doll by one of his groomsmen. Any advice for those planning right now? Start now! We did everything big really early on such as venue, catering, flowers and clothing.. and dealt with the details at the end. Hire creative people to do exactly what you want! And Wildflowers photography is the best ever! I highly recommend using Joy for any photoshoot you may have coming up. She has a way of capturing every heartfelt moment. Looks so vintage. I love the theme! Can’t say anything but WOW! 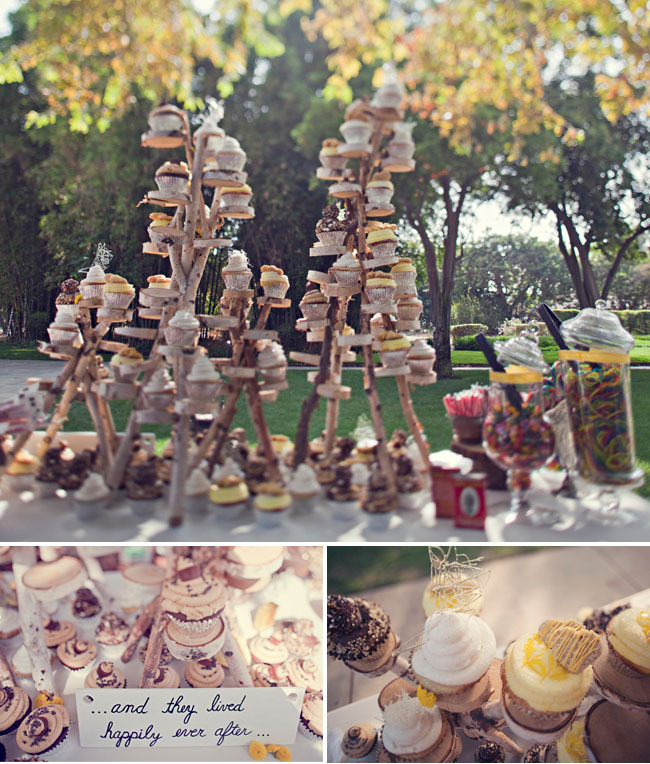 What a fun wedding – love the cupcake stand type thing that is amazing!!!! what a fun couple! 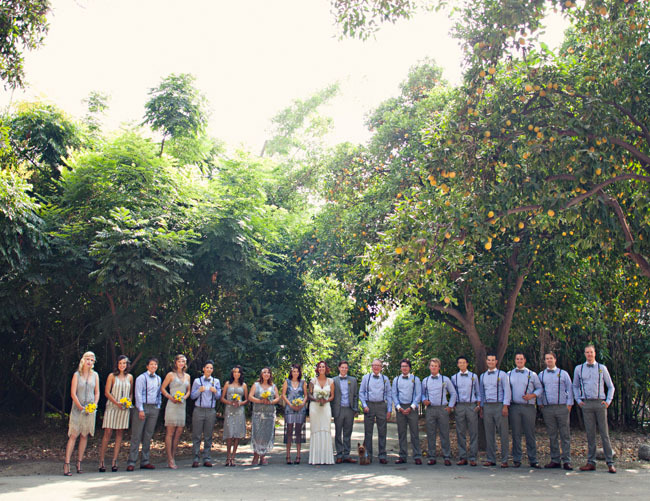 Would be fun to be apart of a weddnig like that! :) Thanks for posting this!!! What a cool wedding! I love when couples do their own thing. Her hair is amazing! This is gorgeous. I love how they can totally pull off this look. So cool. I love the crazy cupcake stand they had. I’ve never seen anything like it. 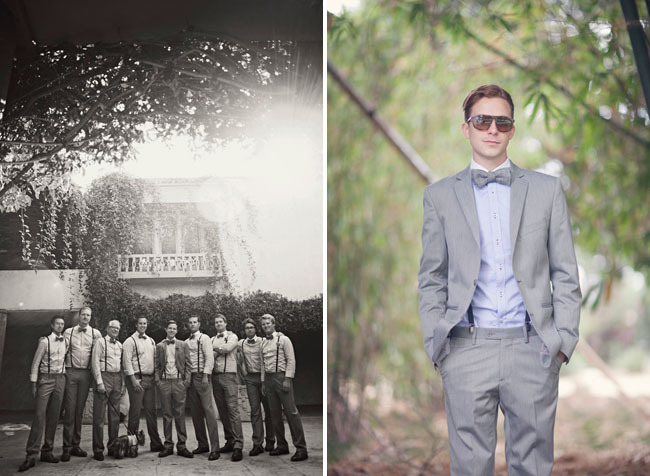 I LOVE the men’s brogues and bow ties, great look with their suspenders. Her dress and look is to die for, they really nailed it. The last photo is gorgeous. What a beautiful day to remember. holy moley! this is absolutely gorgeous. 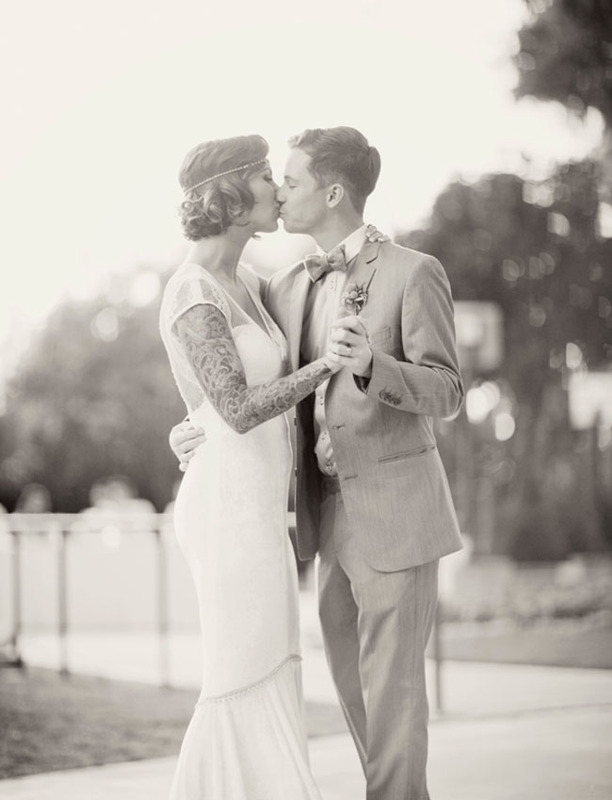 the bride’s style is stunning! 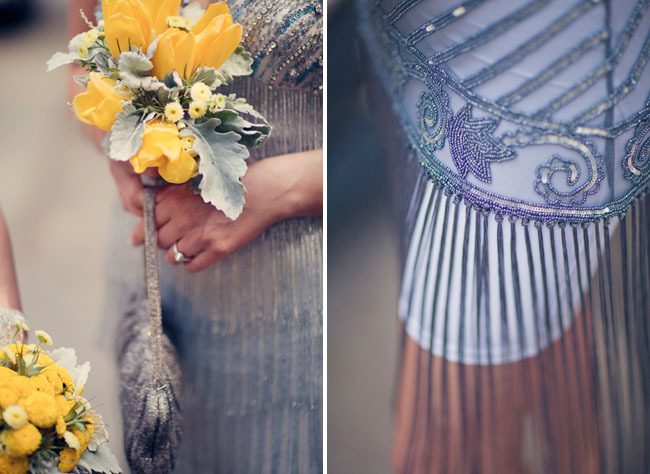 what a stunning wedding, stunning bride …love the styling and those flapper dresses are to die for!! I love her shoes – any idea where they are from or are they vintage?? 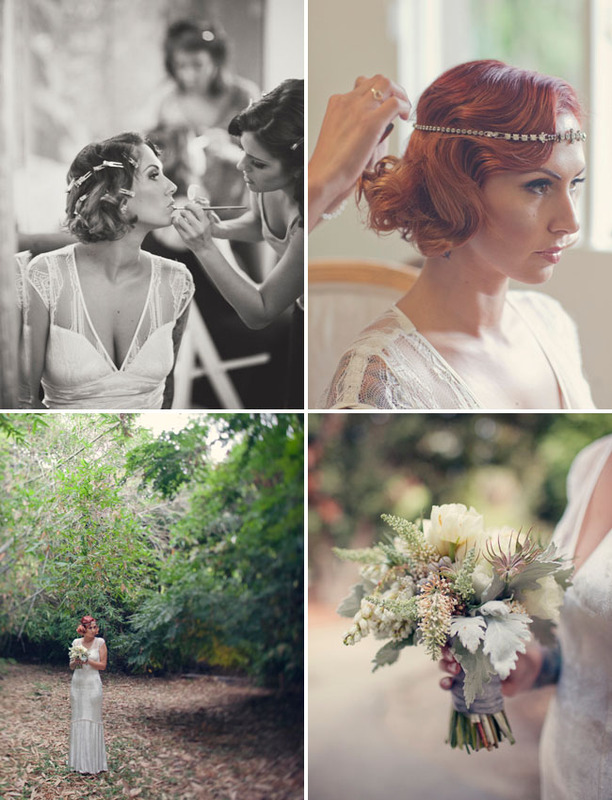 What a stunning and perfect look for this bride. I love the fusion of old meets Indie. Really! Amazing! I can’t really can’t be more emphatic. The stylization is sheer perfection! Fabulous idea!! 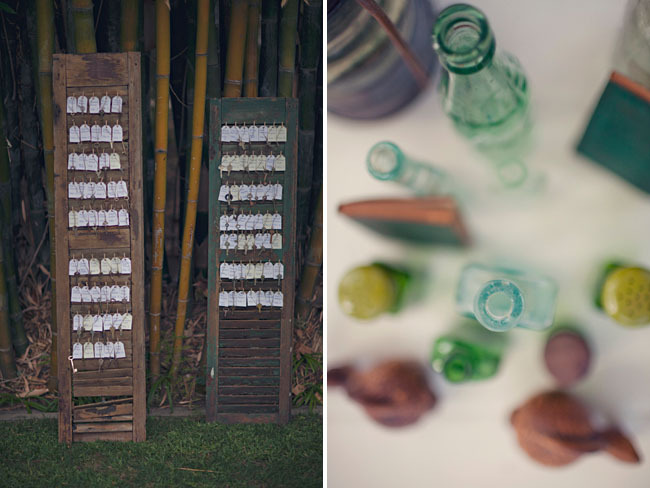 More weddings should definitely take on the roaring 20s theme! Love love love! 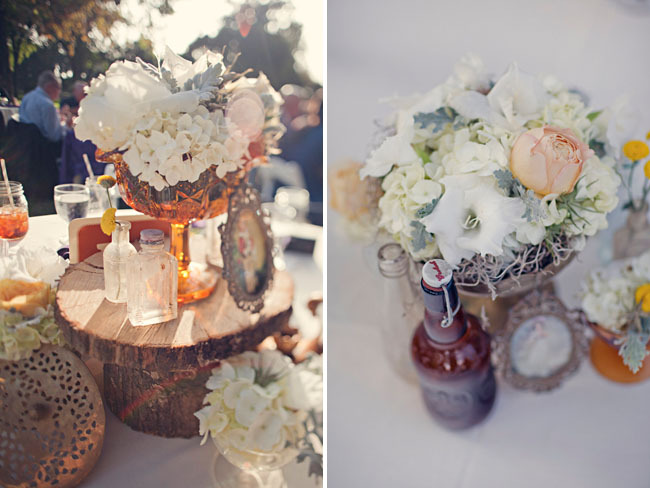 And all of the various centerpieces, florals, etc…amazing! Looks like such a fun wedding! 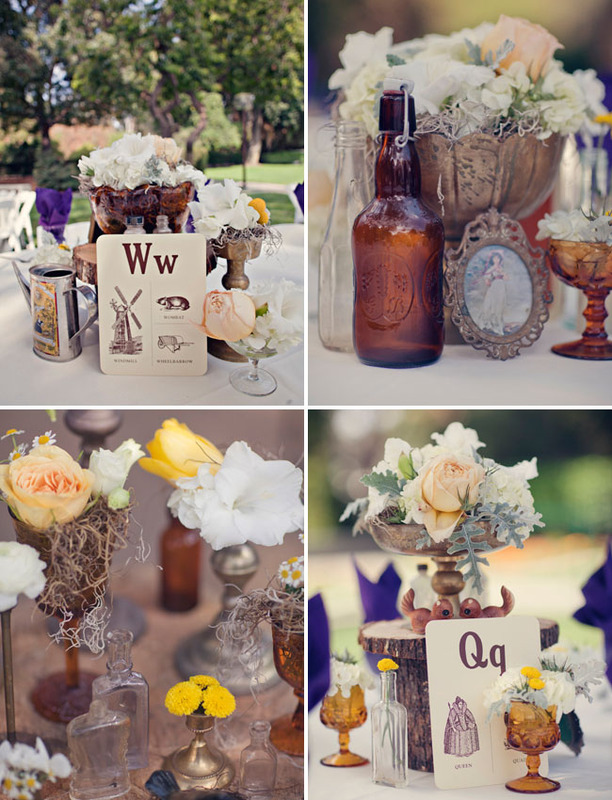 Love the vintage look of the wedding. 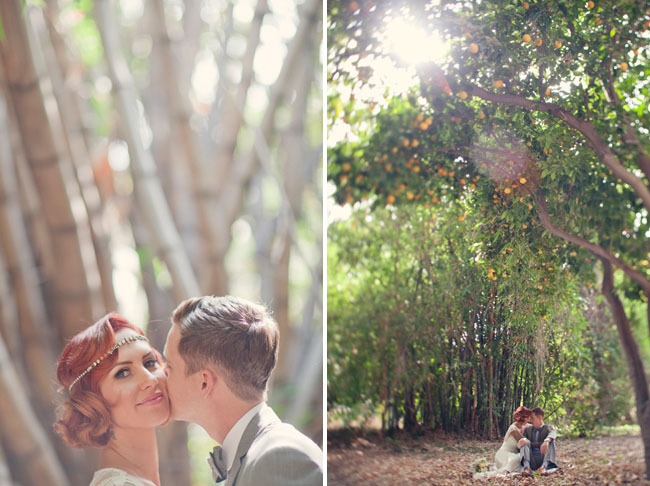 Loving this completely retro vintage wedding! What a great way to incorporate and appreciate history! And the cupcakes and cupcake decor look so scrumptious! 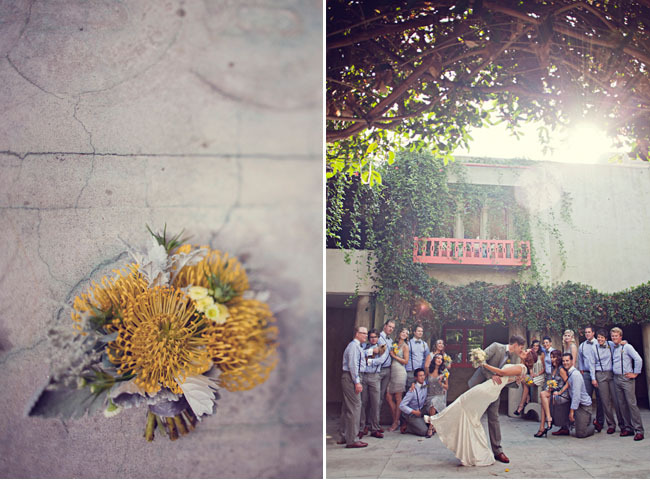 Gorgeous wedding!!! 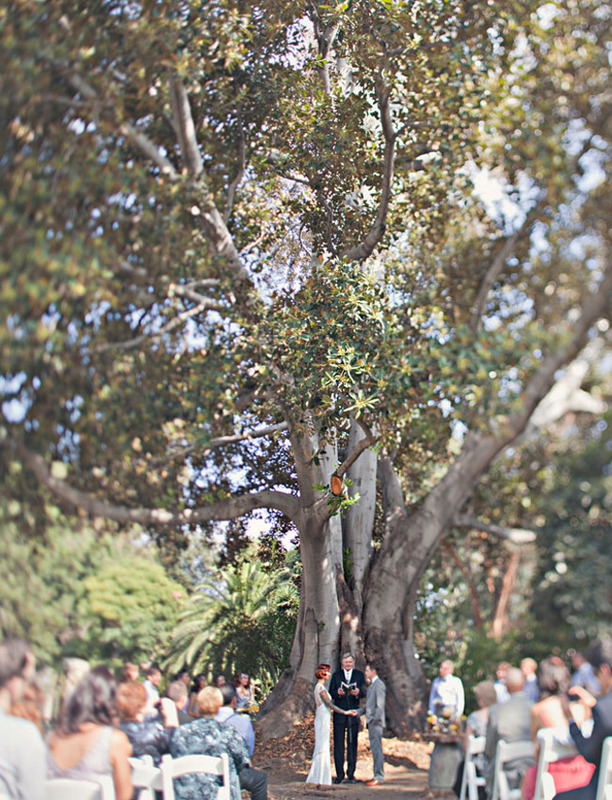 Do you know the the name of the Claire Pettibone dress? It is exactly the style I am looking for! Thank you! You said you rented the cupcake stand? Where from?? Any of the bridesmaids interested in selling their dresses? Where did the bridesmaids get their dresses? They are fabulous. where is his wedding band from? Love it!! 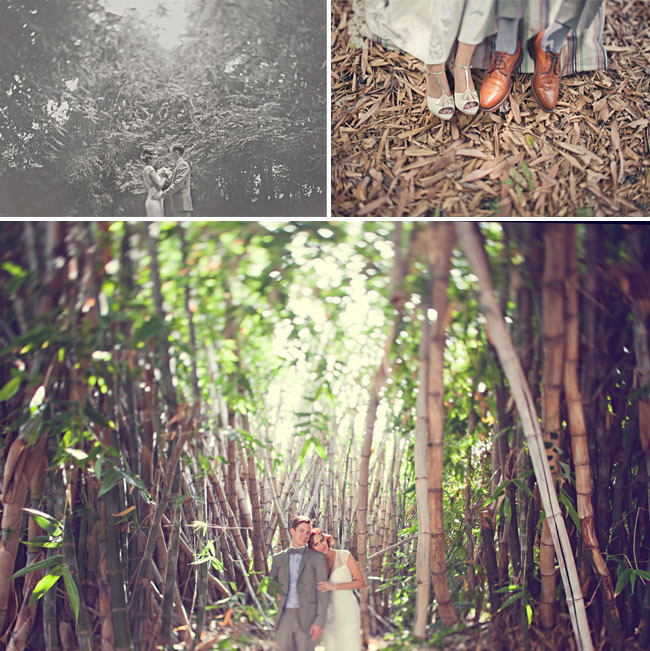 What a beautiful wedding… love it! 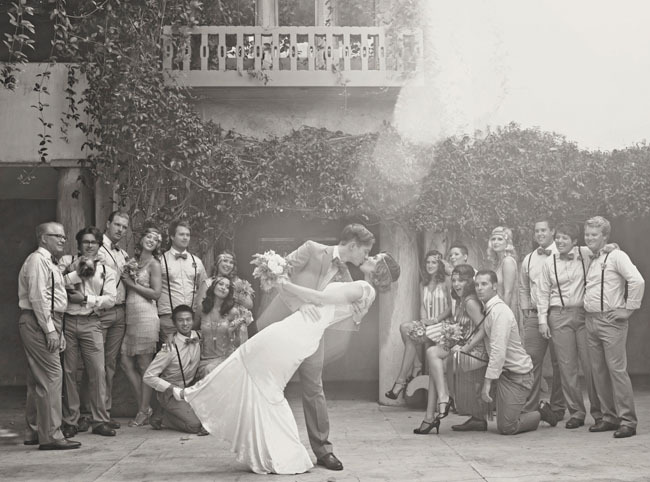 … it is so nice to find someone else who loves the twenties as much as we do! we had just an amazing time..
if you like to see some pics or read a little more about -Chapeau Club- please visit our side! 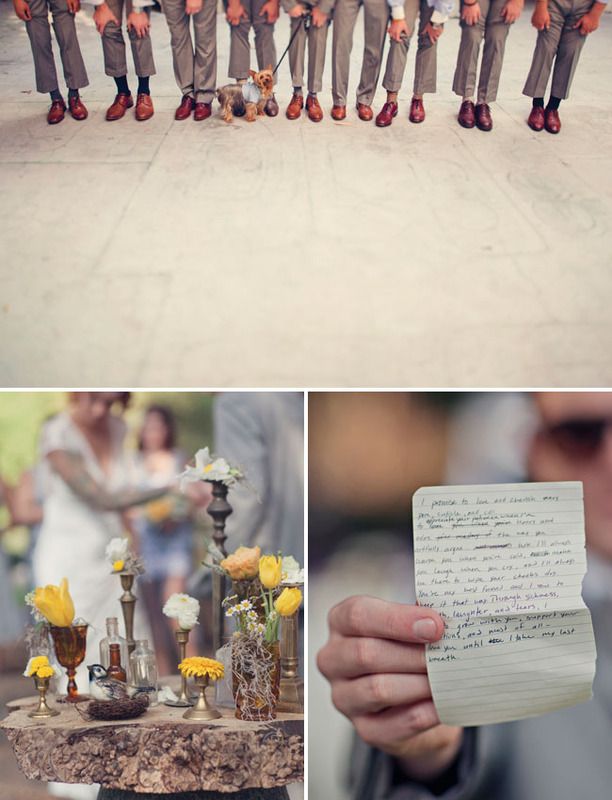 Looks like an amazing wedding I’m having a 1920s themed wedding I was wondering where the bridesmaid dresses are from. This is a lovely wedding!! !